Located in Plaza de la Constitucion, this beautiful religious building was originally a small church with a thatched roof. 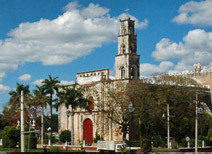 The chapel and both towers would be built later, giving it the neoclassical look that exists today. 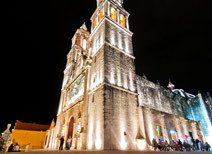 In 2006, exterior lighting was added to provide lovely views for tourists who wish to take an evening stroll through Campeche. 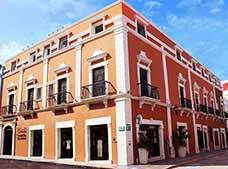 This beautiful structure was designed to accommodate the lifestyle of the Campeche upper class between the seventeenth and nineteenth centuries. 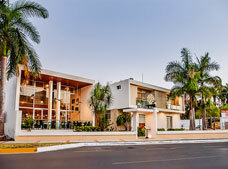 It has a restaurant and bookstore and also serves as an information and cultural center. In addition, this attraction features weekly activities that are open to the public. 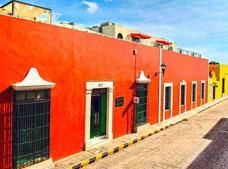 Conocido en la actualidad como el Museo Histórico de San José del Alto, este fuerte es constantemente llamado “La Vigía Vieja” debido a su ubicación estratégica que permite apreciar una inigualable vista a la ciudad y al mar. En él se exponen pinturas al óleo, algunas armas utilizadas entre los siglos XVI y XIX, réplicas en miniatura de galeones y demás objetos relacionados con el comercio y las fuerzas navales. 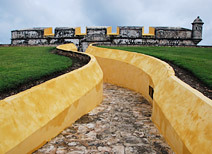 This impressive local landmark was constructed to defend Campeche from a possible attack by the English, who took over Florida and Belize in the late seventeenth century. 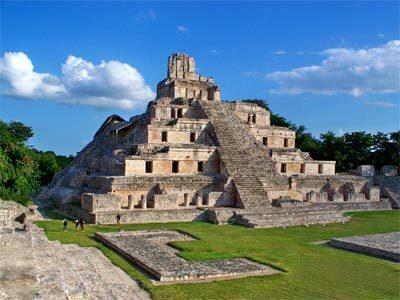 It offers a breathtaking view of the ocean horizon and is home to the Campeche Archeological Museum, where you’ll find the jade masks discovered at Calakmul and other significant Mayan artifacts.. This part of the wall separates the oldest city district from the urban area. 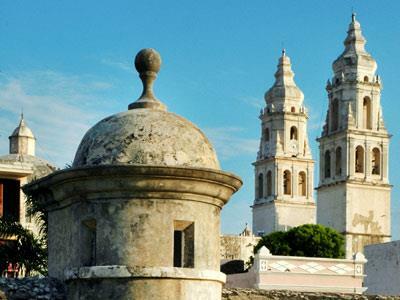 After walking down a path you’ll arrive at the San Juan Bastion, which overlooks the architectural beauty of the historic center. At night there is a light and sound show that tells of life in colonial Campeche and recreates the pirate battles that plagued the harbor. For a long time the Sea Gate was the main entrance to the city due to its commercial nature. Connected to the Soledad Bastion, this part of the wall is the closest to Plaza de la Constitucion and the cathedral. It was partially destroyed in the nineteenth century but was rebuilt in the twentieth century. Today it has a “dancing fountain” and is the place where the pedestrian traffic routes through the historic center begin. 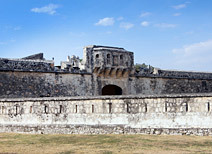 These buildings were the checkpoints used to defend Campeche. They have been preserved as a tribute to the courage of those who inhabited the city and never surrendered to the pirates during colonial times. Some are now home to recreational sites, including the Santiago Bastion, which currently houses the X'much Haltun Botanical Garden. 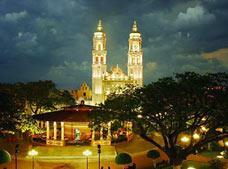 This church was originally built in 1560 so that area’s inhabitants did not have to travel to the cathedral. Originally it was constructed with a thatch roof and other rustic materials, however over the years it has been altered, becoming the church you see today. The building has also been vandalized and was stripped of its paintings and other valuables during the pirate attacks of Laurent Graff and Gramont. 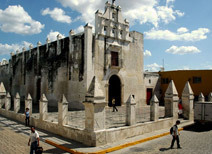 This traditional church is located in the neighborhood of the same name and is one of the most significant Catholic churches for the people of Campeche. 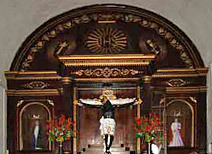 Inside you’ll find the Black Christ, a famous sculpture that, according to one story, was brought from Veracruz to Campeche by Don Juan Cano de Coca. The sculpture survived the bad weather in the Gulf of Mexico while another vessel that had refused to transport it sank on its journey. 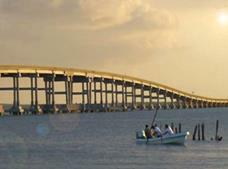 Overlooking the Gulf of Mexico, the Campeche Boardwalk has become a favorite amongst those who enjoy biking, roller skating or jogging. This is the most modern avenue in the city and offers convenient tourist services, including restaurants, hotels and other businesses. Make sure you take a moment to admire the Justo Sierra monument, the Novia del Mar statue and the flagpole while exploring this lovely area. 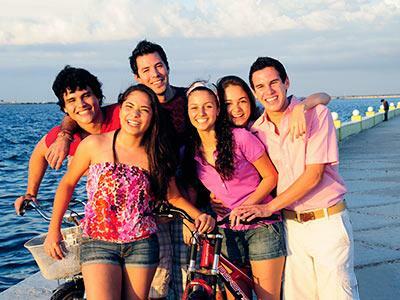 If you’re visiting Campeche, you may want to take advantage of an innovative and entertaining means of transportation that lets you discover more about the culture and history of this charming city. 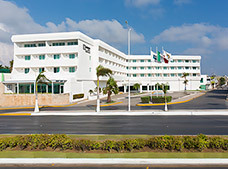 The tram takes you past the main historic sites and monuments in Campeche, through traditional neighborhoods, along the boardwalk and other popular attractions. Don’t miss out on the chance to learn more about this fascinating walled city. 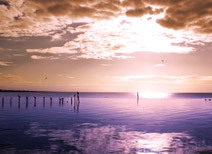 This is the nearest beach to the city and is the perfect place to relax as it has gentle waves as well as convenient tourist services, including a restaurant, changing rooms and parking. 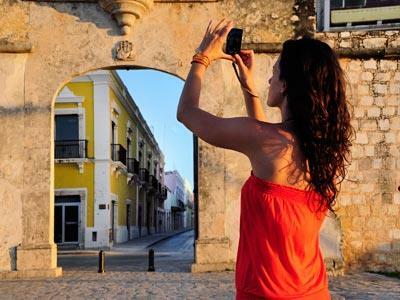 If you wish to enjoy a day of sun, sand and sea during your vacation in Campeche, Playa Bonita is an excellent choice e to learn more about this fascinating walled city. 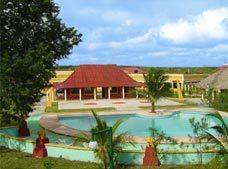 This small and tranquil fishing village has a seaport as well as Payucan, a quiet beach with palapas and bathrooms. 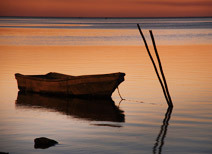 Throughout the day, travelers can also dine at a restaurant that serves octopus, shrimp and various kinds of fish. 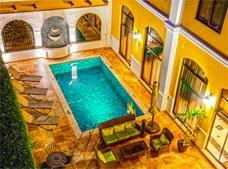 This former hacienda was constructed in a French style and is reminiscent of a medieval fortification. 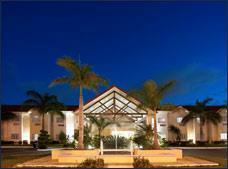 It has a spacious central patio that is west of the main house as well as a machine room in the southern area. In the back you’ll find a partially demolished tower that used to serve as a lookout point. 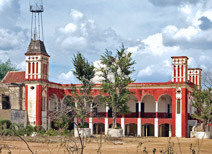 Today, this old henequen production center is almost in ruins yet it remains one of the most fascinating attractions in Campeche. 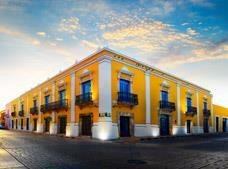 This building symbolizes the prosperity of Campeche, achieved by exporting logwood and henequen. 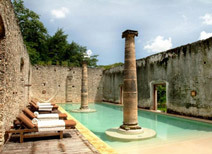 Located just over 12 miles away from the capital, Hacienda Uayamon is now an elegant hotel that has been restored to its former glory. 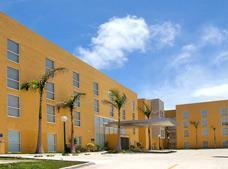 Within its walls, history and tradition merge seamlessly with luxurious features and amenities nt Mayan artifacts. 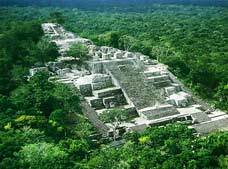 This Mayan archeological site is approximately an hour away from the capital and features an impressive structure known as The Great Acropolis, a large elevated platform that holds more than 10 structures. To add to the site’s fascinating history, evidence has been found of a complex network of irrigation channels at Edzna. 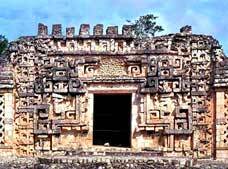 This island is approximately 60 miles northeast of San Francisco de Campeche and features Mayan ruins with pyramidal structures. Jaina is one of the more notable archeological sites as unlike other cities, it served as necropolis. More than a thousand graves have been found, each containing clay pieces that were likely used as offerings to accompany the dead as they crossed over to the afterlife. 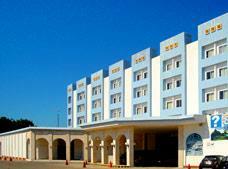 This small town is located along the highway to Merida. 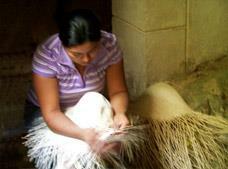 Known for its handicrafts, this town produces excellent hammocks and jipi hats. 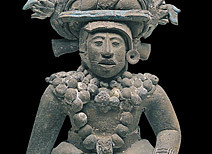 Calkini also features architecture and customs that perfectly demonstrate the culture clash between the Spanish and Mayan people. The importance of this natural site cannot be measured. This wetland area has islands with their own flora and fauna and is now protected by the government. 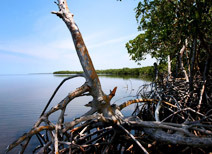 Whether you visit this reserve by boat or kayak, you can enjoy plenty of beautiful scenery created by wetlands, sinkholes, springs and flocks of birds. The Campeche Carnival is the oldest in Mexico. The celebrations begin with the burning of the “mal humor”, an effigy that represents negative emotions. 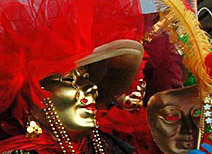 This is followed by a parade with floats and traditional dances. On “Lunes de la mojadera” (Wet Monday) children throw water balloons and on “Martes de la Pintadera” (Painting Tuesday) neighborhood residents have a fun tradition of painting each other. These delightful customs make this a truly unique celebration.